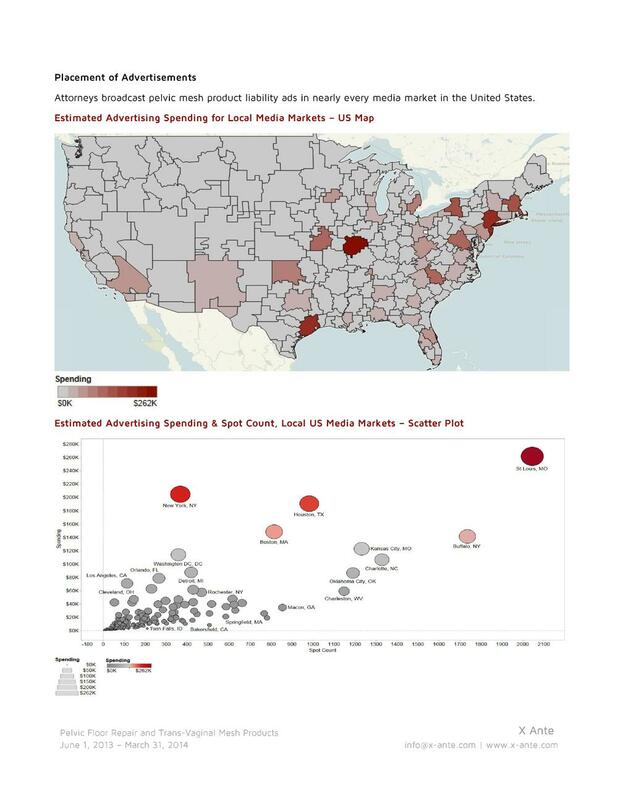 Analyze the history of mass tort advertising on a particular topic with a comprehensive report on up to 10 years worth of data. Analyze relationships between mass tort ads and product sales and prescription rates. Enhance post-market surveillance with analysis of correlation between mass tort advertising and adverse event reporting. Study impact of advertising on lawsuit filings.